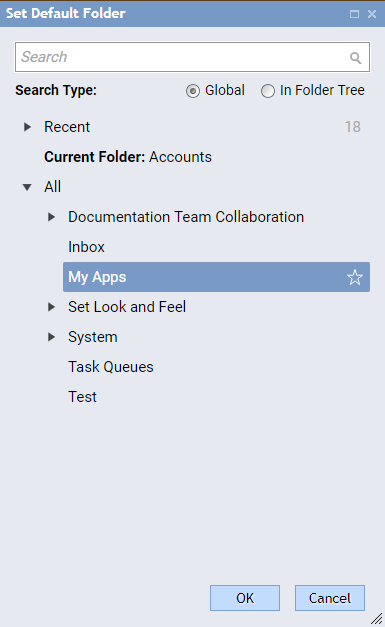 In these examples, we will set a folder to be default for a user and a group. The user logged in must be an administrator level user to perform these functions. Navigate to System > Security > Accounts	. Right-click the user account, and select Manage > Set Default Folder	. 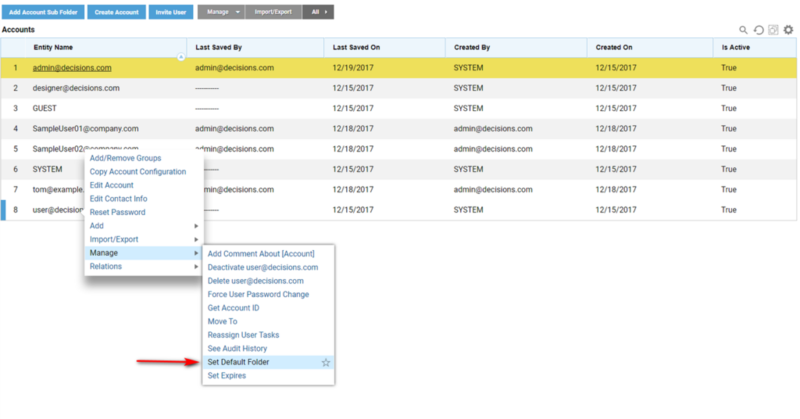 Select the folder to be the default for this user account and click OK	.
To set the default folder for a group, navigate to System > Security > Groups	. Right-click the group, and select Manage > Set Default Folder	. Select the desired default folder and click OK	.